Fine Dining at BrickHouse Grille, Dickinson, North Dakota. Photo courtesy the BrickHouse Grille Facebook page. Survey: Where are the Best Places to Dine On Valentine’s Day? We recently posted a question on social media: Where is the best place in the area for a couple to dine on Valentine’s Day?? What a quick and significant response we received! People like to eat, and they know where in western North Dakota and eastern Montana they like to eat, especially on Valentines Day! Of 78 responses, 45 different eateries were recommended. And we can think of many other dining establishments in the area which we love, but were not mentioned. There is no shortage of good places to dine in the Beautiful Badlands and Grasslands of western North Dakota and eastern Montana! The BrickHouse Grille Valentine’s Day Special. Dickinson, North Dakota. This western North Dakota eatery was a definite standout, and along with choice number two, rated well above others. Find their Valentine’s Day Event here: Romantic Night at the Brickhouse! Check out their website here: BrickHouse Grille, Dickinson, North Dakota. BrickHouse Grille, Dickinson, North Dakota. Photo courtesy BrickHouse Grille Facebook page. This choice was no surprise to us. It’s one of our favorite places to dine. Not only is the food very good and the menu extensive, the people there are great! You’ll receive friendly, efficient, and knowledgeable service at Burly’s. These are people who like to work, and who like where they work! The owners are dedicated and aim to please! Read about our Burly’s experience here: We Love Burly’s in Belfield! Check out the Facebook page for Burly’s Roughrider Bar & Steakhouse ! Burly’s Roughrider Steakhouse, Belfield, North Dakota, A Busy Place! Photo courtesy Burly’s Roughrider Facebook page. The South 40 has been around for years! In fact, over 40 years. It’s set the bar for excellent dining in eastern Montana year after year. It’s claim to fame for years was it’s extensive salad bar, but you’ll enjoy all the menu items of this classic steakhouse in eastern Montana, the heart of ranching country. Traditional Fine Dining at the South 40, Sidney, Montana. Photo courtesy the South 40 Facebook page. South 40. A Classic Steakhouse in Sidney, Montana. Photo courtesy the South 40 Facebook page. Here’s another of our favorite places for which we can vouch. You’re going to like the atmosphere here! View the brewery as you dine, and listen to live music from time to time on their informal, intimate stage. The brews are good, the food is good, and the people are great! Stop at the Meadowlark in Sidney! Visit their Facebook page here: Meadowlark Brewing, Sidney! You’re gonna marvel at their website here: Theodore Roosevelt As Evil Knievel? Look For the Meadowlark in the Central Business District of Sidney, Montana. Photo Courtesy the Meadowlark Brewing Facebook page. Always A Variety of Fresh, Unique Brews at Meadowlark Brewing in Sidney, Montana. Photo courtesy the Meadowlark Brewing Facebook page. Theodore, the Daredevil Brewer? Meadowlark Brewing, Sidney, Montana. Photo courtesy the Meadowlark Brewing Facebook page. We rarely travel to Williston, North Dakota without stopping at the Williston Brewing Company. It’s adjacent to one of our favorite lodging places, conveniently, the El Rancho. Not only do we appreciate the cosmopolitan cowboy flare of this eatery and bar, we like the coziness and warmth we find there. The menu items include some of our favorites (Carrot Cake, anyone? ) but the microbrews are astounding. Wine! Did we mention wine? The Williston Brewing Company has one of the largest, if not the largest selection in the upper midwest!! Scroll through their Facebook page: Williston Brewing Company, Williston, North Dakota. Williston Brewing Company, Williston, North Dakota. Intimate and Spacious! Photo Courtesy the Williston Brewing Company website. The Largest Selection of Beers in North Dakota. One of the Largest Selections of Wine in the State! Williston Brewing Company, Williston, North Dakota. Photo from the Williston Brewing Company website. Warm, Cozy, Welcoming. The Williston Brewing Company, Williston, North Dakota Photo courtesy the Williston Brewing Company website. Have you ever stumbled upon a dining experience which was not only unexpectedly good, but was….. truly unexpected! In every way! The Pastime Club in the small burg of Marmarth in the far southwestern corner of North Dakota is a jaw-dropper! We encountered it first when on a motorcycle run. A small bar with cold, refreshing drinks was what we were after that time. As we quenched our drastic thirst in the dark, cool bar area, we noticed that there was an eatery of some sort at the back of the establishment. Next time…..we’d explore that next time. Down low, the turbulent waters were fascinating. And we did. On a spring day when the Little Missouri River was over running it’s banks wildly, we had followed it down old (muddy) highway 16, which ended in Marmarth, on historic highway 12. This time we were not only thirsty, we were hungry. So, we explored. Find out why we were so hungry and thirsty when you read about this backroads adventure here: The Most Beautiful Muddy Road and Ice Jams We Nearly Drove Into! Pastime Club Fine Dining, Marmarth, North Dakota. A True Culinary HIdden Gem! A Fine Place to Dine, Hidden Behind the Dark Cavernous Bar at the Pastime Club in Marmarth, North Dakota. Desserts from the Chef! Authentic! Pastime Club, Marmarth, North Dakota. 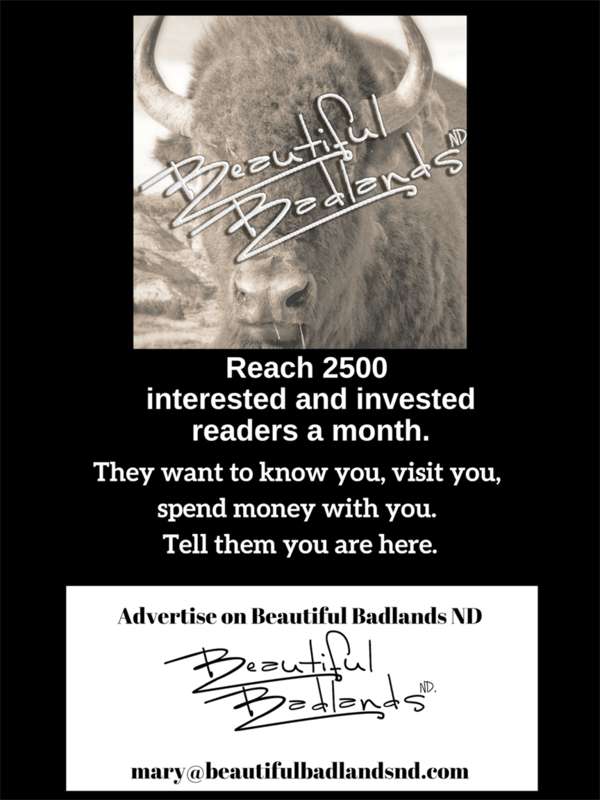 There are many, many more places to eat, to dine, to coffee, to snack in the Beautiful Badlands and Grasslands of western North Dakota and eastern Montana. In fact, there are well over a hundred more dining establishments highly recommended by locals. Here’s the rest of those places submitted in our survey. What others can you add to the list, which do you recommend? We want to try them all!